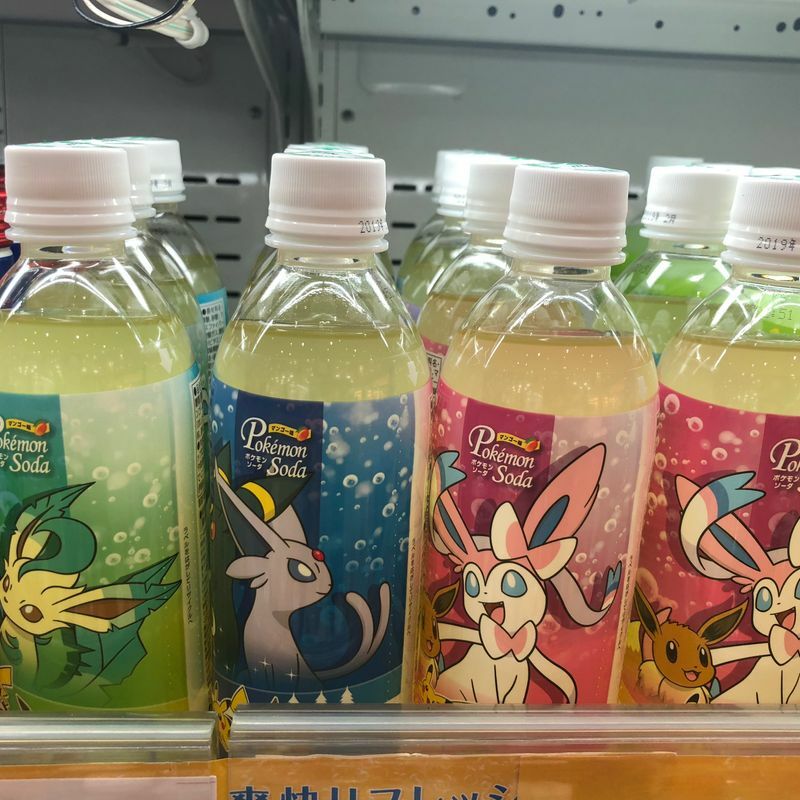 Since Monday, July 2nd you can buy the new Pokémon Soda in Japanese supermarkets. This product is a part of the Project Eevee that was started last year to promote Eevee and its several evolutionary stages. The maker is Itoen and one bottle costs about 100 Yen. (In the shop where I bought it was 102 Yen.) The recommended price from the maker is 140 Yen though. There are 4 different designs, each with different evolutions of the Pokémon Eevee. The taste is the same for all variations. It is a soda with Mango taste. Here you can see the Umbreon/Espeon version and Eevee/Sylveon version. I arranged them with Pikachu plush from the Pokémon Cafe. 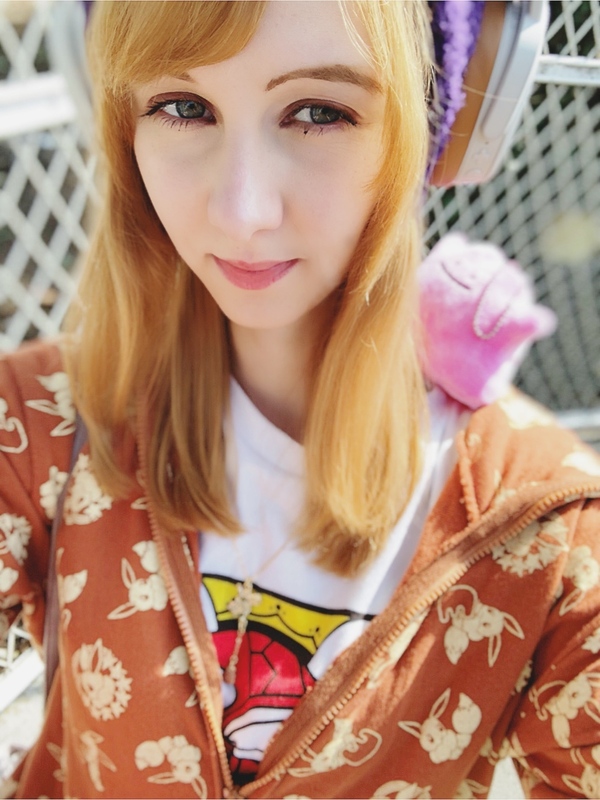 There is also a version with Leafeon and Glaceon and one with Vaporen, Jolteon and Flareon, but this one was already sold out at the shop I checked. Apparently, the older Pokémon are still popular. I had a pretty hard time finding them. I looked in several convenience stores and supermarkets but they were nowhere to be seen. I finally got lucky at an Itoyokado supermarket. I would recommend checking bigger supermarkets if you want to find them. The slight mango taste is very refreshing and I have never seen any similar drink so far. I think they are great for summer. 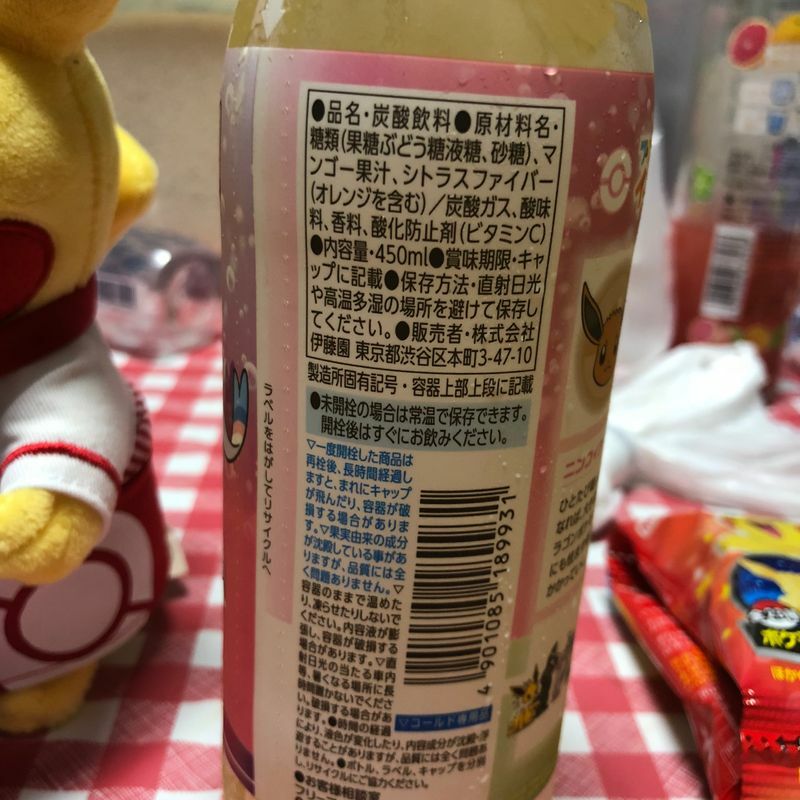 The percentage of mango juice is 1% and here you can see the full list of ingredients. If you like Pokémon you should definitely go and look for these. After you finished the drink you can also keep the bottle as a souvenir. They are also great as a drink if you want to watch the Pokémon Movie that will come to theatres this month. 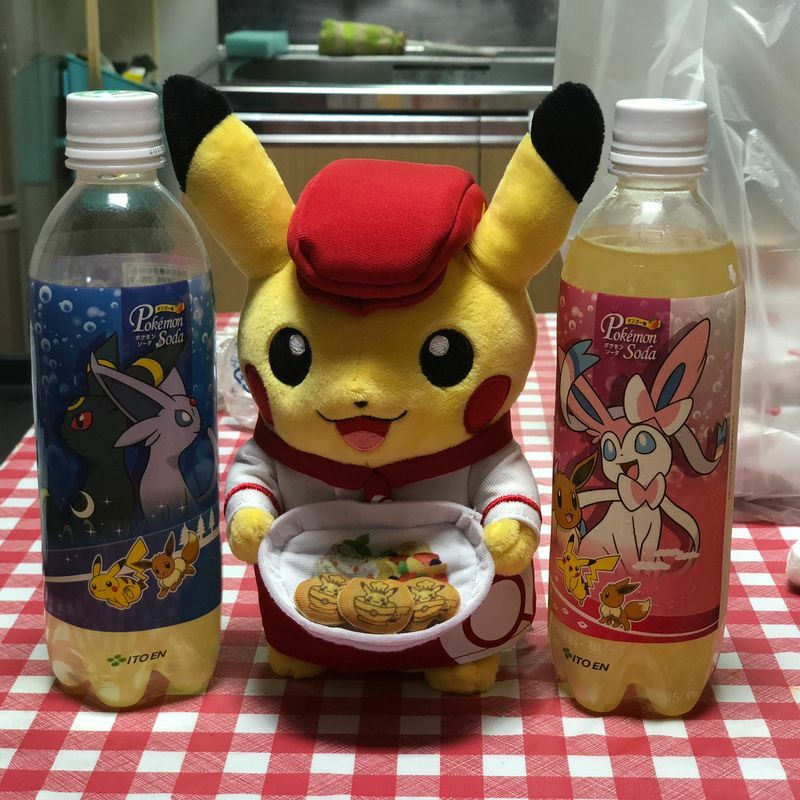 What do think you about the Pokémon Soda? Would you like to try it?